In Contempt is an American 60 minute scripted legal television series, which kicked off on April 10, 2018, on BET and is broadcast every Tuesday at 22:00. The show is currently in its 1st season. 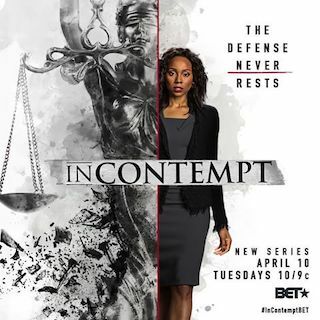 BET is yet to announce the renewal of In Contempt for Season 2 as well as its cancelation. Sign up to track down the show's status and its release date. The procedural is in the fast-paced world of a legal aid office in New York City and follows Gwen Sullivan, an opinionated attorney whose passion for her job and clients make her arguably the most talented public defender in her district.